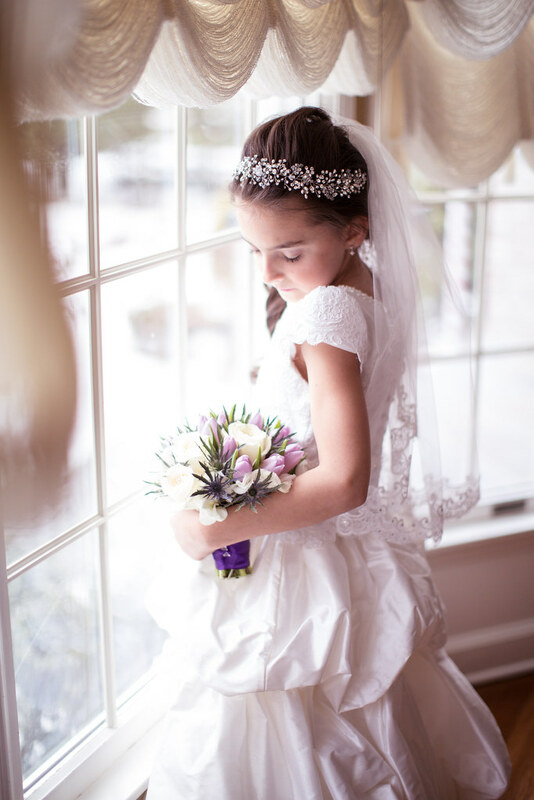 A very meaningful Catholic tradition, First Communion for many little boys and girls is also the first time an important event is all about them! 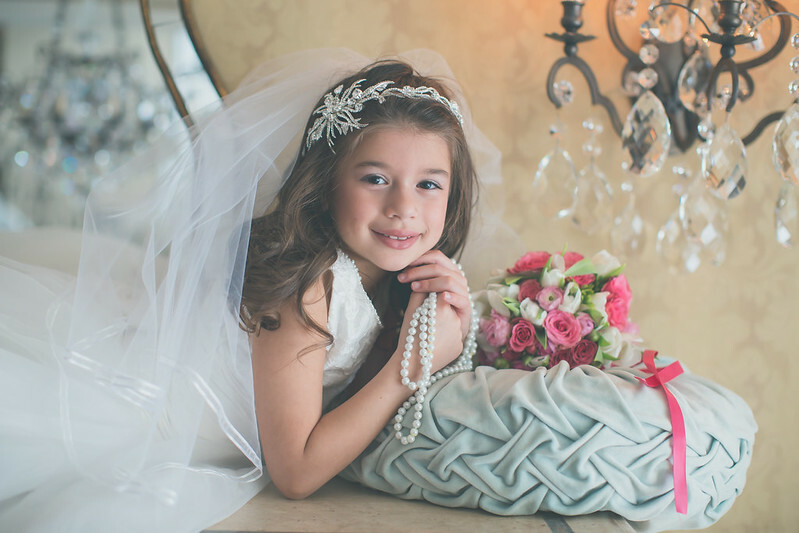 Such an occasion calls for an extra special outfit, and it should come as no surprise that, for us, dressing up little girls ranks right up there with helping our beautiful brides. 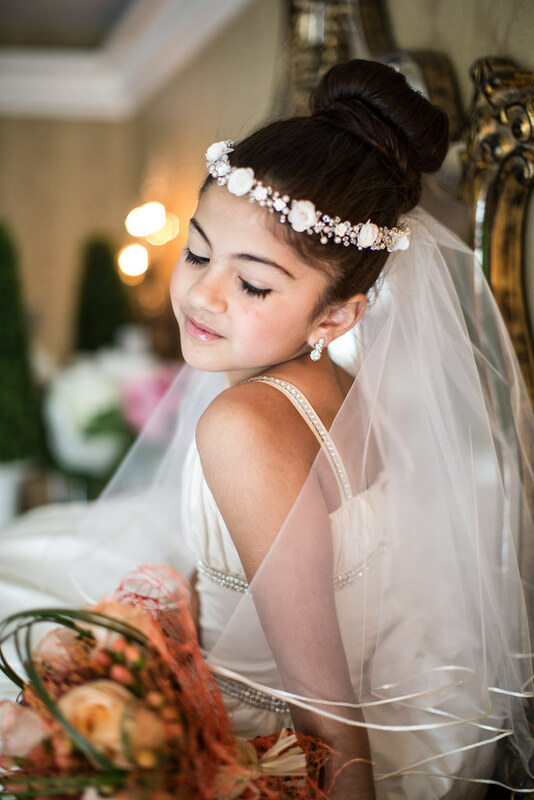 Honestly, there’s nothing like seeing how excited those cutie patooties get playing dress-up in a delicate veil and sparkly headpiece! 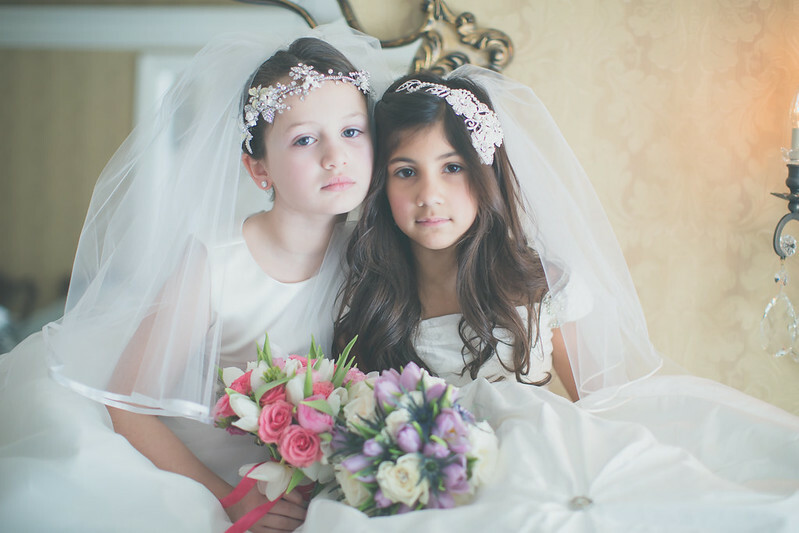 Like their moms, girls who have been visiting Bridal Styles in search of First Communion accessories are little fashionistas! 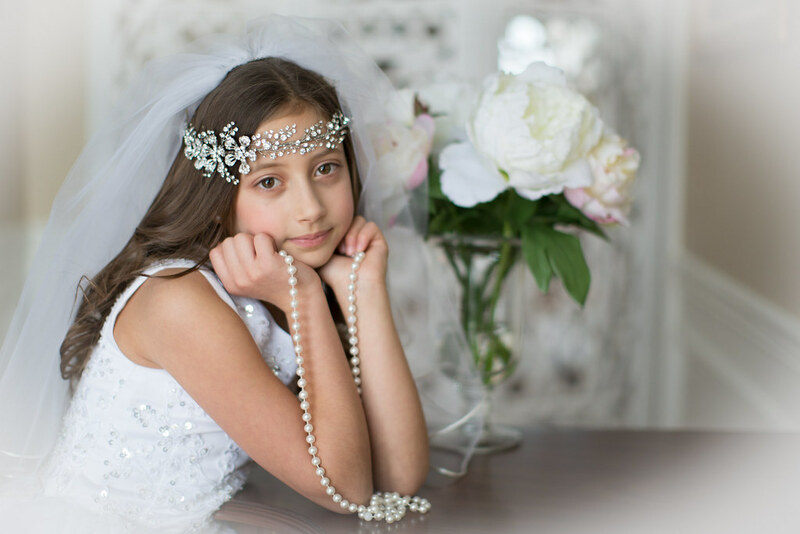 Many are completing their angelic First Communion look with pieces that express their personalities, such as an Art Deco-inspired crystal headband, crystal scattered flowers or a delicate Swarovski crown. 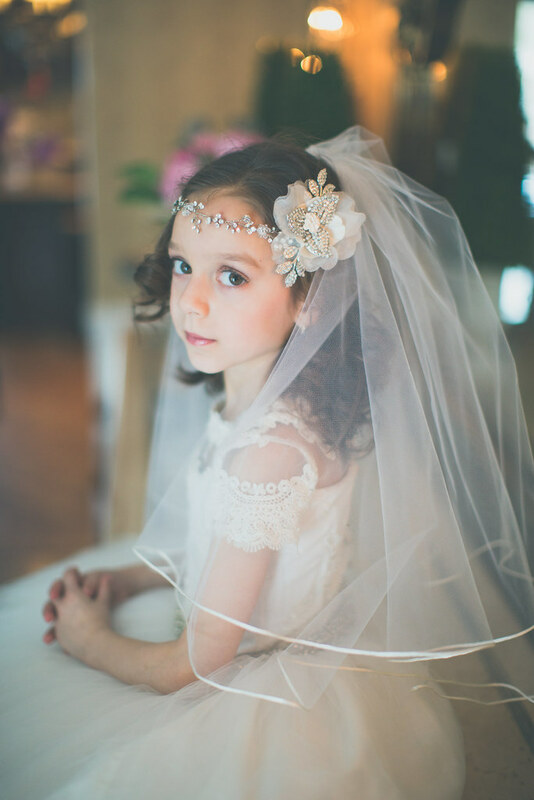 To give you an idea of what our littlest (and most darling) Bridal Styles customers have been selecting, have a peek at all the beautiful styles below. This entry was posted on Wednesday, February 18th, 2015 at 4:20 pm	and is filed under Blog, Inspiration. You can follow any responses to this entry through the RSS 2.0 feed. You can skip to the end and leave a response. Pinging is currently not allowed. 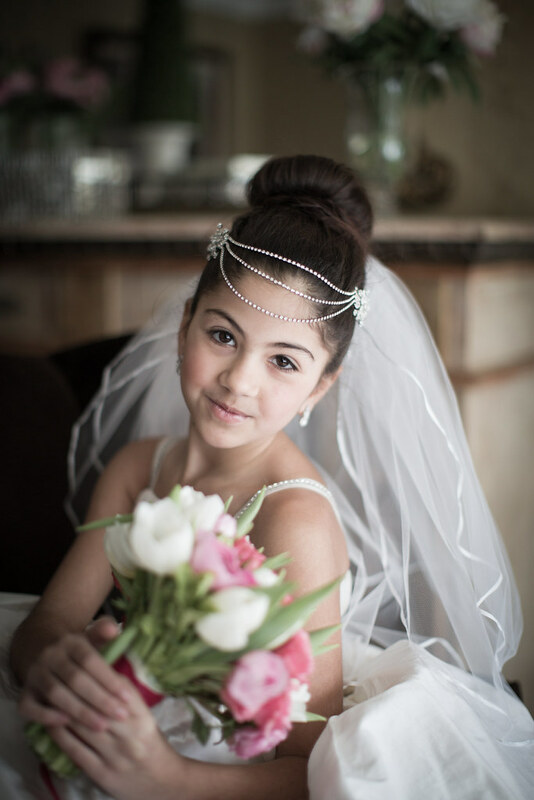 My daughter is having her first communion in May. 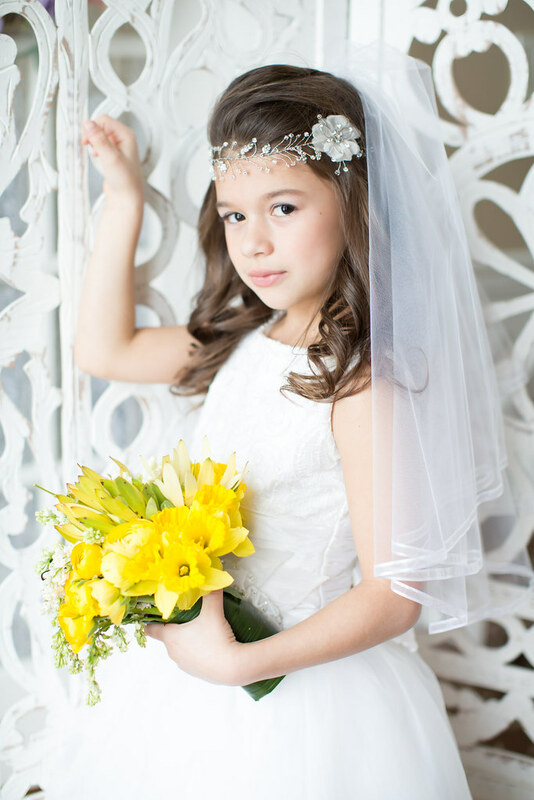 While browsing Pinterest, your first communion crowns and veils caught my eye! They are absolutely exquisite and would like to know how to go about purchasing one. 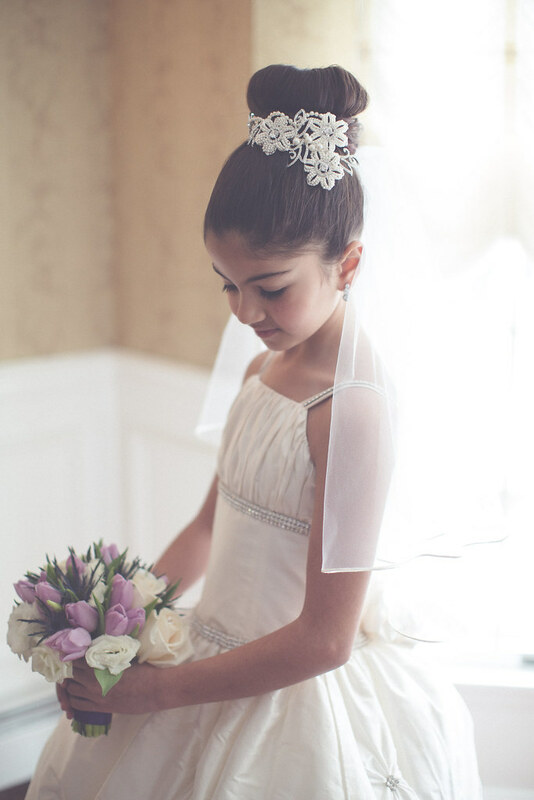 I live in Ireland and my daughter is making her communion next May. 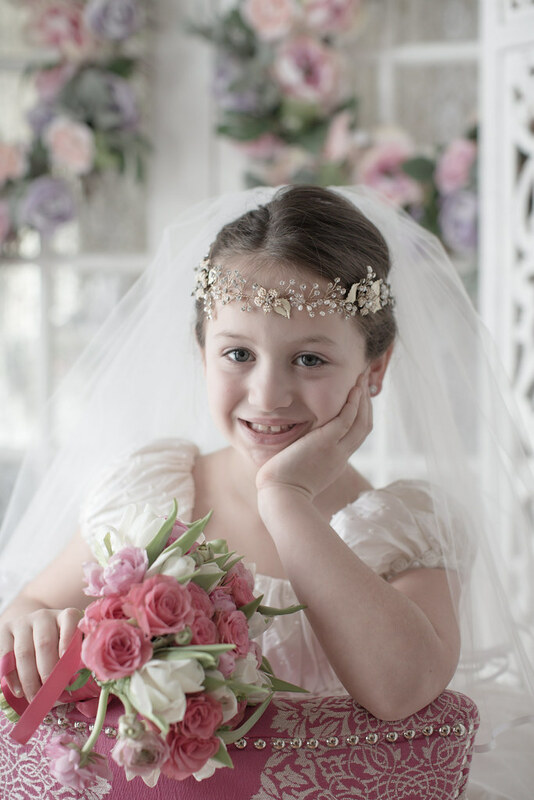 I love the first headpiece you have that sits on the forehead with the flower to one side. How much is this? 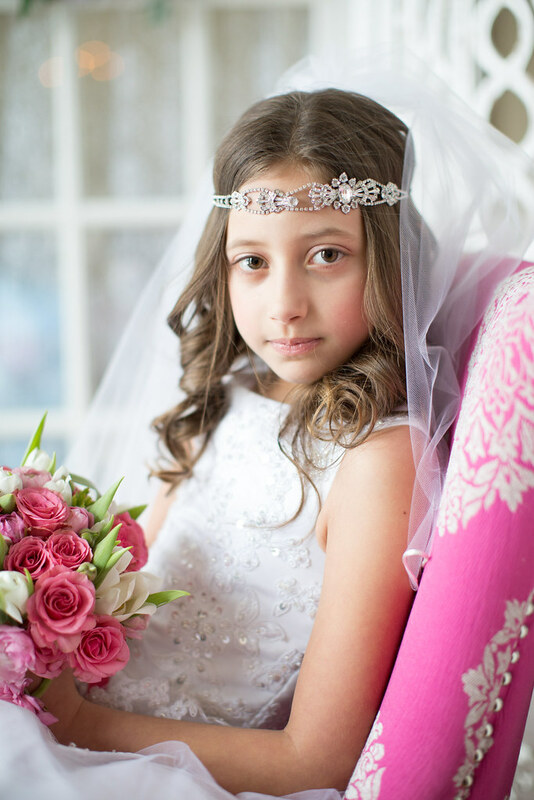 Hi Kevina, Please email us the picture of the piece you like and we will send you more information about it. We do take orders by email and ship all over the world. Hi Jennie, I apologize for the delay in responding. Thank you so much for the kind words. We do take orders by email and ship all over the world. If you would like more information on a particular piece, you can email us the picture and we will give you more information about it. Where can I view all the communion forehead pieces that you offer? Hi. Where is your shop location? Thanks. 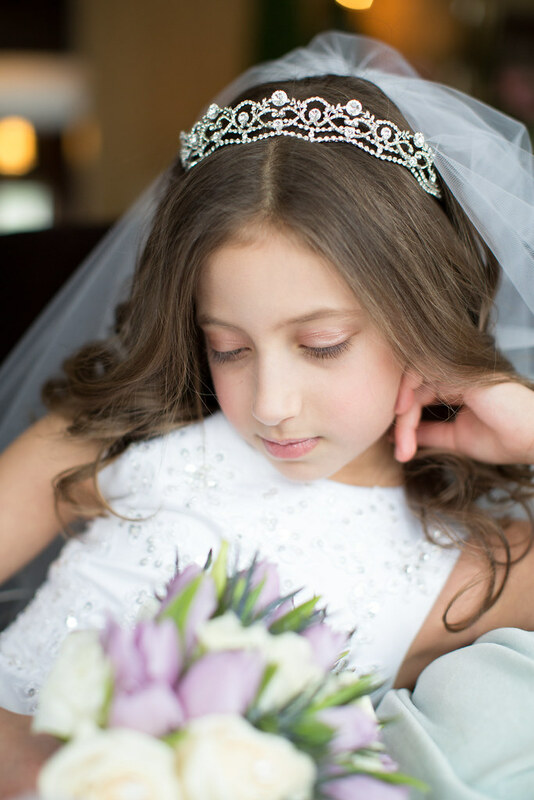 Hi Gina, We are located at 905 Avenue U in Brooklyn NY. Our boutique is located at 905 Avenue U in Brooklyn, NY. You are welcome to come in anytime to see our collection. We are open Tuesday to Sunday. 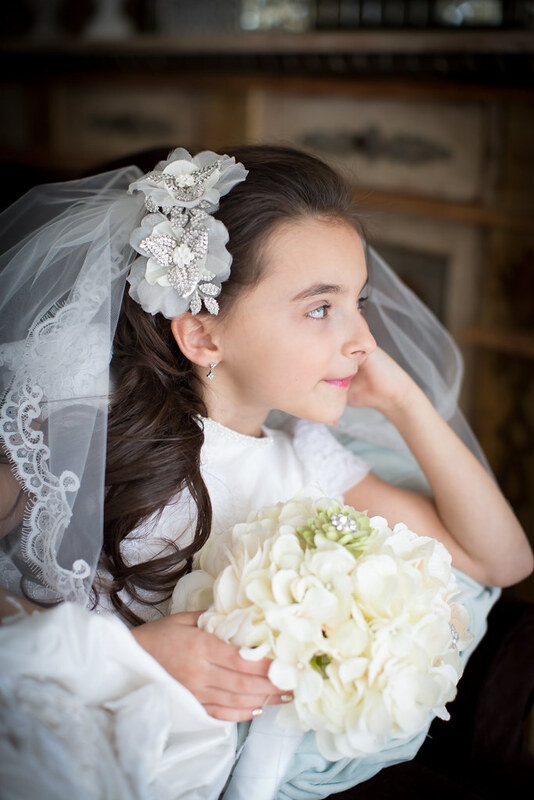 Please may I have a price for the first headpiece the flower at side for first communion. 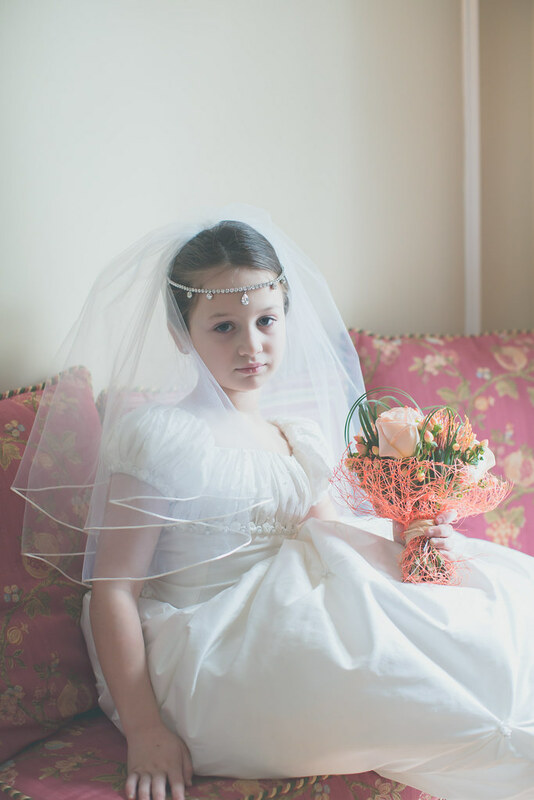 I was wondering how I would be able to place an order for a head piece and veil for a first communion? Hi, We take orders by email and ship all over the world. Please email us for prices and more information. 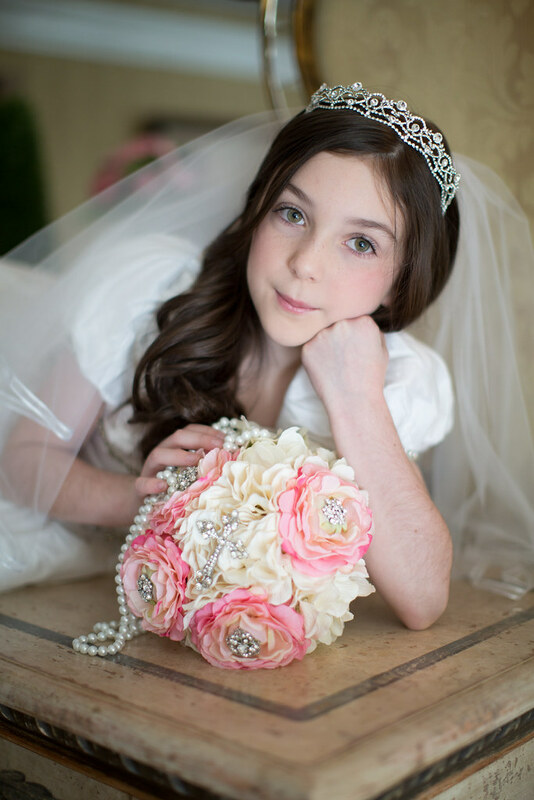 Hi Mary, Please email us at info@BridalStylesBoutique.com for prices. Hi Nancy, The communion pieces usually take about 4 to 6 weeks to produce. Please email us for prices and more information.